As the name of our practice suggests, contact lenses are our core focus at Weston Contact Lens Institute. Most patients find that contact lenses are superior to eyeglasses in terms of comfort, convenience, and overall functionality. We can fit contact lenses for virtually any patient, ranging from standard contact lenses to scleral lenses for patients with corneal irregularities. Before we start fitting patients with contact lenses, we will always perform a comprehensive eye exam. This procedure allows us to learn about the overall eye health and identify the prescription for glasses or contact lenses. These initial findings will not only help us decide which type of contact lenses are right for each individual person, but will also tell us if there are any ocular health issues that may interfere with a contact lens treatment. Everyone’s eyes are a little different and therefore everyone’s ideal contact lens will be different, too. 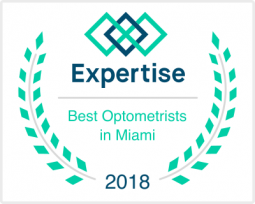 At our Weston, FL practice, we offer a custom contact lens fitting for each patient. Based on the findings of our initial eye exam, we can decide which type of lens to target with our fitting. Our contact lens specialists can fit gas permeable contact lenses, cosmetic contact lenses, multifocal lenses, monovision lenses, extended wear lenses, lenses correcting for astigmatism, daily disposable lenses, and a wide range of specialty contact lenses. Our goal is to always to choose and fit the contact lens which is most ideally suited for the eye and promotes ocular health. The shape and health of the cornea: The cornea is the soft, clear tissue that forms the front part of the eye. Before one can wear contact lenses, we need to 1) ensure that the corneas are healthy and have no underlying issues, and 2) check the curvature of your cornea. Irregularly shaped corneas will likely benefit from specialty contact lenses. The integrity of the tear film: Tears provide essential nutrients to the ocular surface. They are essential not just to the health of the eyes, but also to the overall comfort of your contact lenses. We check to make sure that your tears can form a proper film on the front surface of the eye, to make sure that contact lenses can safely and comfortably be worn. Pupil size: Pupil size can impact which type of contact lens is ideal for each individual. Of course, pupil sizes shift all the time, depending on the quantity of ambient light, but some people have larger pupils than others. Especially if one is a candidate for gas permeable contact lenses, the size of your pupils will play a substantial role in the lens fitting process. 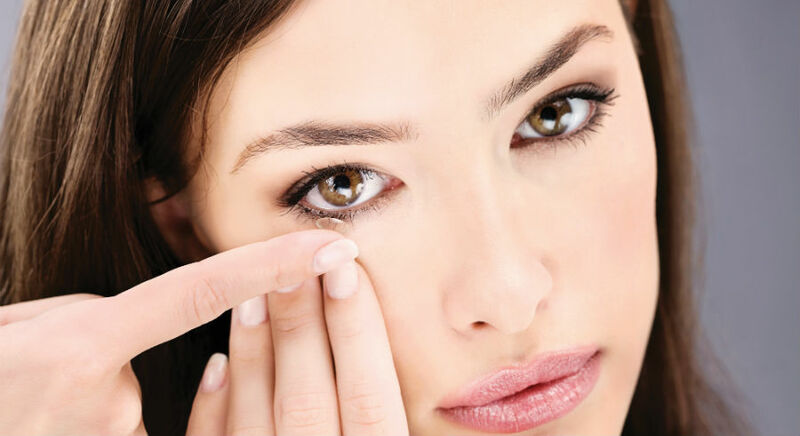 In most cases, the perfect contact lens will not finalize on the first try. At Weston Contact Lens Institute, we use diagnostic trial lenses to assess factors like lens fit, comfort, prescription, and vision improvement. We do in-office examinations with these lenses, sometimes going through multiple pairs to find the right fit. Our South Florida contact lens specialists will brief you on the do’s and don’ts of contact lens use before you go. Even if you do end up wearing a pair of lenses home, you should still plan to do a follow-up visit. In most cases, we ask patients to come back two weeks after the initial fitting. During this visit, we will check your contact lens fit and speak with you about your overall satisfaction with the lens. If you are satisfied with the lenses and there are no signs of problems or complications, we can move forward in ordering a full supply of the lenses. Finally, we will provide a prescription for you, detailing the type of lens, the manufacturer, and other details such as lens power, curvature, and diameter. Start the contact lens fitting process by contacting the Weston Contact Lens Institute today.